Caspase family has been recognized to be involved in dopaminergic (DA) neuronal death and to exert an unfavorable role in Parkinson’s disease (PD) pathology. 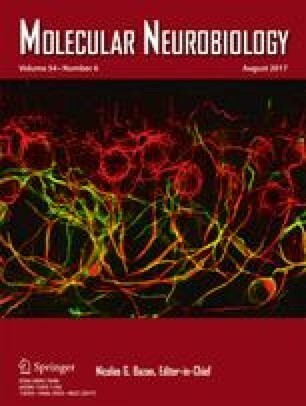 Our previous study has revealed that caspase-1, as an important component of NLRP3 inflammasome, induces microglia-mediated neuroinflammation in the pathogenesis of PD. However, the role of caspase-1 in DA neuronal degeneration in the onset of PD remains unclear. Here, we showed that caspase-1 knockout ameliorated DA neuronal loss and dyskinesia in 1-methyl-4-phenyl-1, 2, 3, 6-tetrahydropyridine/probenecid (MPTP/p)-induced PD model mice. We further found that caspase-1 knockout decreased MPTP/p-induced caspase-7 cleavage, subsequently inhibited nuclear translocation of poly (ADP-ribose) polymerase 1 (PARP1), and reduced the release of apoptosis-inducing factor (AIF). Consistently, we demonstrated that caspase-1 inhibitor suppressed caspase-7/PARP1/AIF-mediated apoptosis pathway by 1-methyl-4-phenylpyridinium ion (MPP+) stimulation in SH-SY5Y cells. Caspase-7 overexpression reduced the protective effects of caspase-1 inhibitor on SH-SY5Y cell apoptosis. Collectively, our results have revealed that caspase-1 regulates DA neuronal death in the pathogenesis of PD in mice via caspase-7/PARP1/AIF pathway. These findings will shed new insight into the potential of caspase-1 as a target for PD therapy. The online version of this article (doi: 10.1007/s12035-016-9980-5) contains supplementary material, which is available to authorized users. We thank Professor Ming Xiao (Nanjing Medical University) for the help with revising the manuscript. The work reported herein was supported by the grants from the National Natural Science Foundation of China (No. 81473196), the Natural Science Foundation of Jiangsu Province (BK20130039), and the key project of Natural Science Foundation of the Higher Education Institutions of Jiangsu Province (No. 15KJA310002).